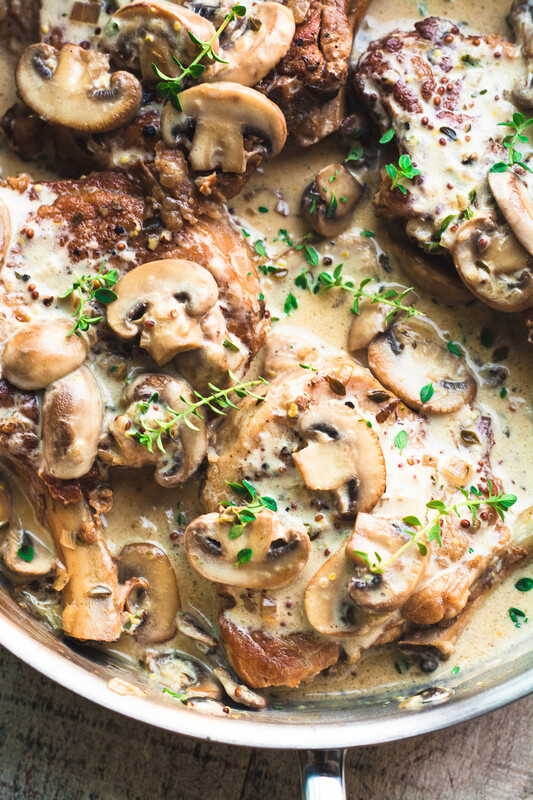 Instant Pot Pork Chops in Creamy Mushroom Sauce ~ these fork tender pork chops cook up in no time in the Instant Pot pressure cooker ~ let’s just call it instant comfort food gratification! I’ve been having a ball testing out all the things my Instant Pot can do, and the latest are these succulent pressure cooked pork chops. I have a really bad habit of going through the day not giving any thought to dinner until I look up and it’s suddenly an hour before we usually sit down to eat. That’s where this machine has really come in handy. 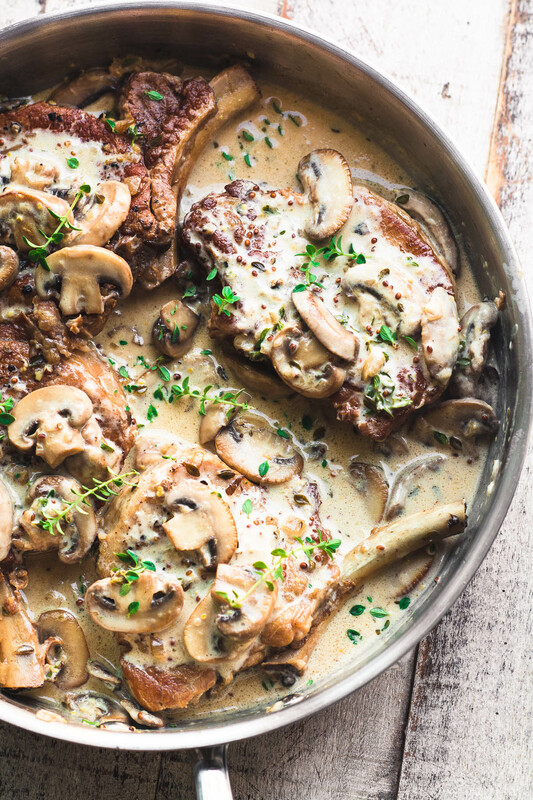 This Instant Pot pork chop recipe combines pressure cooking with a quick creamy pan sauce, which you can make while the chops are cooking. You get the ease and speed of pressure cooking, but the creamy pan sauce gives it a gourmet flourish. 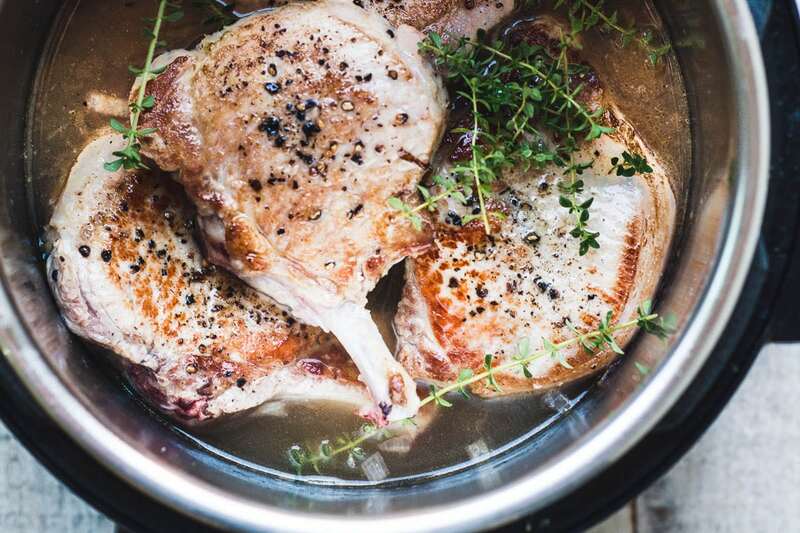 If you’re used to wooden pork chops (I grew up on them) then you’re going to be pleasantly surprised by what the Instant Pot can do for this cut of meat. Up until now my favorite cooking method for chops has been the slow cooker ~ my Slow Cooked Barbecue Peach Smothered Pork Chops always turn out incredibly tender. 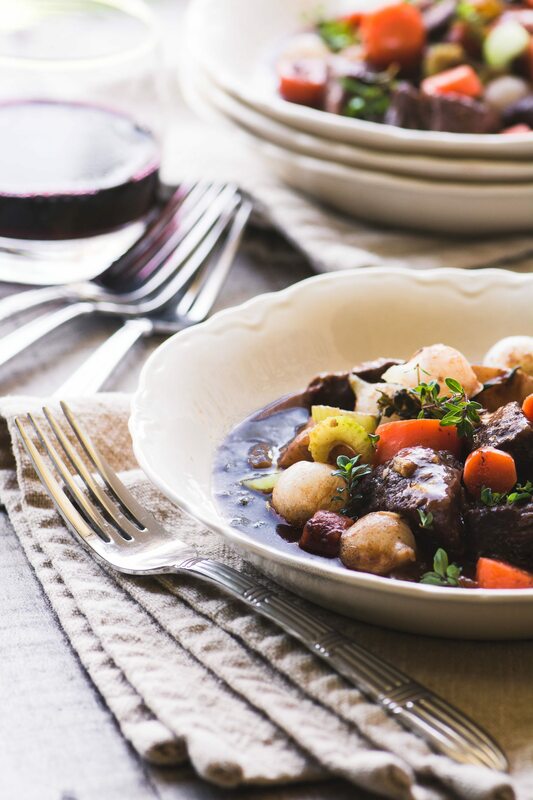 The slow cooker really does do an amazing job, but the only problem is, it takes all day doing it! How does pressure cooking work? I was interested so I did a little digging and this is what I learned…normal water boils at 212F, but because a pressure cooker is sealed, it’s able to get the boiling liquid to a much higher temperature, and that higher temperature means the food can cook much more quickly. For every five degrees higher the liquid temperature gets, the cooking time is cut in half. On high the pressure cooker cooks food 16 times faster than normal. Wow. And all that pressurized steam also gets forced into the food too, which is why it comes out so moist and tender. The first step is almost always the same when you’re dealing with meat, whether you’re pan frying, stewing, or pressure cooking ~ you want to brown the meat over high heat to develop that flavor enhancing caramelization. The golden color = delicious. Once you load the browned chops into the Instant Pot and close the ‘cockpit door’ you’re set. I start the cream sauce on the stove while the IP does its thing. I can’t say enough great things about my Instant Pot. It has totally revolutionized dinnertime at our house. I’m giving fair warning to my readers: I’ll be doing quite a few IP recipes this fall and winter, and if you don’t have one you won’t be able to keep up! If you know anybody with a busy life who loves to cook, this makes a fantastic gift, too. Instant Pot Pork Chops in Creamy Mustard Sauce ~ fork tender pork chops cook up in no time in the Instant Pot pressure cooker ~ this is instant comfort food gratification! Season the pork chops on both sides with salt and pepper. Put a tablespoon of oil into the Instant Pot and press Sauté. When it gets nice and hot, brown the chops for several minutes on each side to get a nice caramelization going. Work in batches so you don't crowd the pan. Remove and set aside. Add another tablespoon of oil to the pot and add the shallots, stir for a minute or two to soften. Add the Marsala and let it bubble while you scrape up any browned bits from the bottom of the pot. Press Off. Stir in the chicken broth, then layer the chops back into the pot. Add the bundle of fresh thyme. Close the lid, set the vent to Seal. Press the Meat/Stew button, which will pressure cook for 35 minutes. In the meantime cook the mushrooms in the butter and olive oil in a large skillet until they release their moisture and start to brown. Add the heavy cream, mustard, and the thyme leaves. When the machine beeps, press Keep Warm. Let it sit for 10 minutes, then press Off. Release the vent and wait for the pressure to come down. Then open the lid and remove the chops to a plate. Strain the liquid into a saucepan and bring to a rapid boil. Boil the liquid until is is reduced by 2/3. Add about 1/2 cup of the reduced sauce to the skillet and bring the sauce up to a gentle simmer. Add salt and pepper to taste. 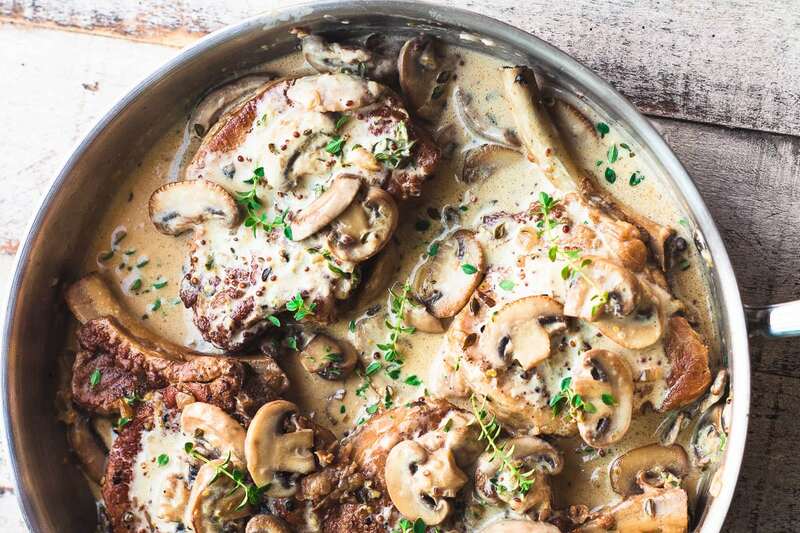 Nestle the pork chops down into the sauce in the skillet. Spoon some of the sauce and mushrooms over the meat, and heat everything through. Serve sprinkled with a little fresh thyme. Make them lower calorie and lower fat by omitting the cream and using the reduced cooking liquid as the base for your sauce. If I’m cooking for one or two, I only cook one or two pork chops. How much lesss time is it to cook fewer? I would cook it for the same time. Yes, but it will depend on the size of your instant pot. And you won’t need to double the liquid because nothing will evaporate in the IP. This was highly enjoyable – it reminded me of chicken ala king in a good way. I didn’t mind the number of steps; cooking is as much a hobby as a neccessity for me, and the IP is good for more than ‘one pot meals’. Having said that, I used boneless loin chops, and between the sear and the 35 minutes under pressure, they came out a bit tough…not dry exactly, just…stiff? I own the 3 QT IP. Are we sure that amount of time is necessary for fully cooked/tender chops? I’m new to the Instant Pot, would appreciate input. Like others, I expected to need a little extra sauce, so I added 50% more cream and more of the reduction, worked out just fine. The sauce itself was good enough I could have made it a meal with just the mushrooms and some rice. What a lot of unpleasant comments for receiving a free and very lovely, tasty recipe. Thankyou Sue, for this very tasty recipe. I don’t have an Instant Pot but made it in the oven. Yum!! It is great to find a recipe without canned high salt condensed mushroom soup. I love the photos and ingredients and will cook this tonight. I was puzzled by the rating of only three stars and noticed that when I tried to get the rating comments, I automatically gave this recipe a “3” star without intending to. I wonder if that can be fixed and might contribute to the low rating? 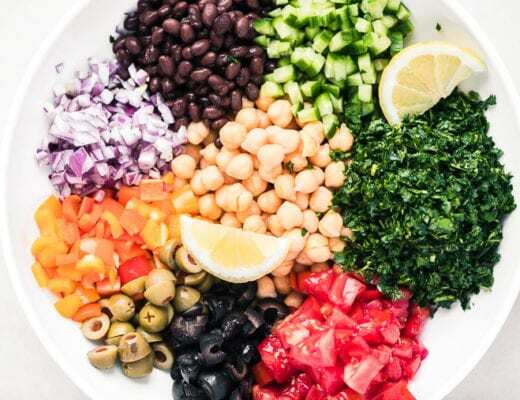 I was just on this recipe and was wondering the same thing, the recipe rating system is seriously flawed, for sure, and very frustrating for a hard working food blogger! We loved this recipe and they were so tender! Gravy is so good! We will definitely make again! This recipe takes MUCH longer than 50 minutes total time. Which comes to a minimum total of 73 minutes — almost 25 minutes longer than the recipe states! I’ll take a look and adjust that, thanks Cindy! Great recipe, I made it almost exactly as directed except I used dried thyme and thicker pork chops, so I let the instant pot cool down on it’s own. Pork was not falling apart but was very tender and moist. I also made an extra pan of sauce using veggie broth, coconut milk and mahi mahi since I don’t eat pork. Yum!! Will make this again for sure. 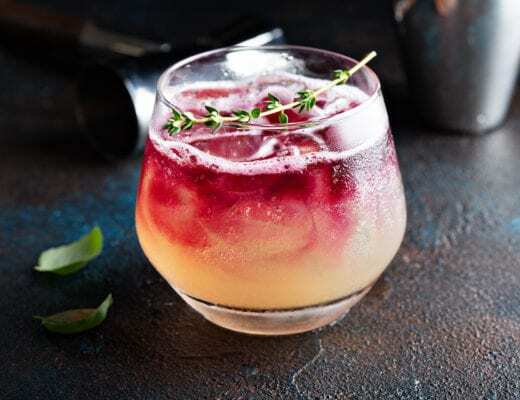 I just tried this recipe last night. BEST. CHOPS. EVER! They were so tender that they almost flaked apart like fish does. Definitely did not need a knife to cut them. They were so full of flavor and very moist. This is the only way I want to eat pork chops from now on. Thanks Lori, that’s exactly how I felt! I was wondering if you had any recommendations for replacing the pork chops with chicken or if I can take the same steps? I haven’t tried that Rhael, but I think you might use chicken successfully. Be aware that it will be very tender and falling off the bone! This was pretty good but I wound up having to clean up the instant pot, a skillet (for the mushrooms and sauce) and a saucepan (for the pasta), not to mention the veggies and cutting boards. I don’t think I would make it again for that reason. I think I could’ve done the pork chops/sauce in one skillet and the pasta in another. I didn’t think the Instant Pot added to the tenderness of the meat, maybe I was doing something wrong. Just tried this out tonight. Used a red Sangiovese which we drank as well along and substituted garlic for shallots. My husband thought they were wonderful and enjoyed. Thanks Beverly ~ isn’t the IP amazing? This is a delicious dish but not enough of it to go around I need at least one more pork chop so my wife and I can both have the leftovers for lunch the next day. Also seems we don’t have enough sauce to make everyone happy because we serve it with mashed potatoes and use the sauce for gravy (its great you have to try it). So how much should I increase the ingredients if adding 1 pork chop and desiring more of the sacred sauce. I’m glad these were a hit Brandon, I might increase the sauce ingredients by 50% to boost it. Hi, My family LOVED this receipe! I’m wondering if you have tried it with chicken instead of pork chops? I haven’t, in fact I haven’t made chicken in my Instant Pot yet, I’ve been concentrating on meats that generally need longer cooking times to tenderize. Let us know if you try that Janice! Do you serve with potatoes or noodles? I hate to waste the sauce! Either would be great, and I agree, don’t waste a drop! You say set on “meat/stew” and it will cook for 35 minutes. Does that mean my machine knows 35 minutes b/c of the meat/stew setting, or do you mean to set the timer for 35 minutes? When you press the meat/stew button it automatically goes to 35 minutes. And it will say that on the screen so you can see. This was soooooo good. My whole family gobbled it up. This is super dee-lish! It’s a keeper. Thank you! This was easy and really, really good. I’m glad I saw this and made it. The entire family loved it. I made these last night to rave reviews by all. Thank you. I so tempted to get an IP! These chops might just tip the scale…. what model do you have? Thank you. I have the Duo Plus 6 qt, it’s a great size, not too big and not too small. I don’t eat pork often, but mymymy.. that sauce looks amazing! I am so excited! 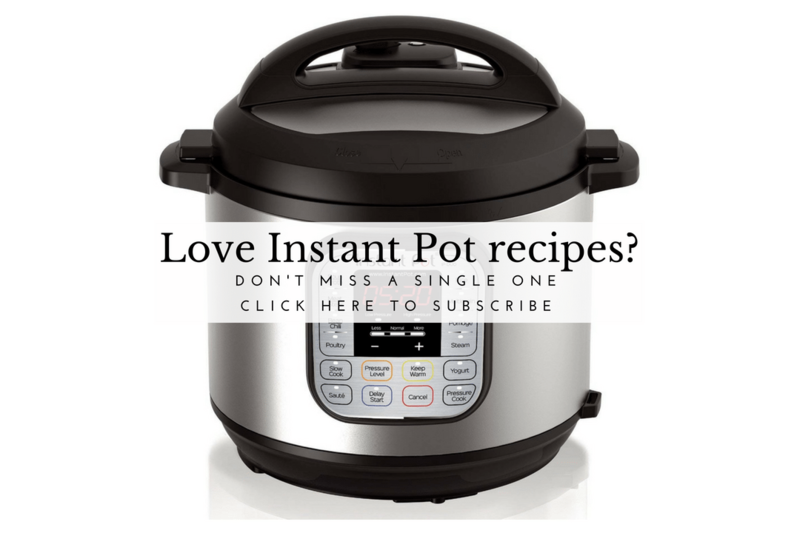 I have an Instant Pot, and I love your recipes and collections. 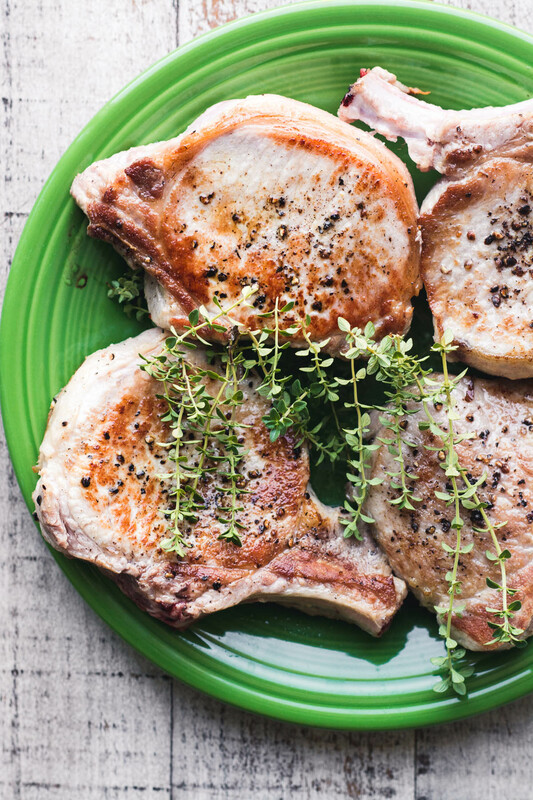 My husband is not a pork chop fan, but I may be able to make him into one with this recipe. Thank you! What would you recommend to sub for marsala and shallots? And, how might I adjust this for tenderloin? You can use any white wine, or sherry, Dawn, for the Marsala, and onions can sub for the shallots. 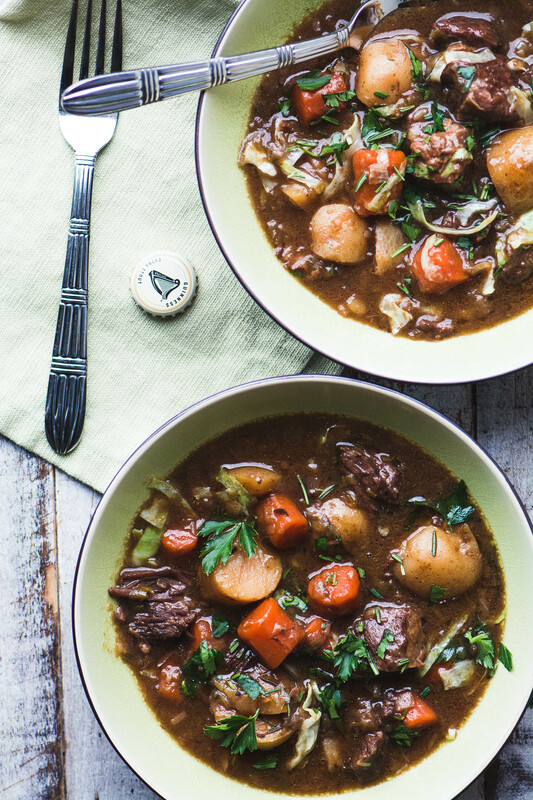 If you’re looking for no alcohol then just use more of the cooking broth. I don’t think you’d need to cook the tenderloin in the Instant Pot, so I would brown it on the stove and then cook it in a 400F oven for about 20 minutes, or until it reads about 145F in the middle. You could then slice it and arrange it in the sauce like I did with the chops. I don’t think pork chops have ever looked this delicious! I’m putting chops on my grocery list for sure! Pork chops have been off my radar for the longest time, I’m glad they’re back! Seriously Jennifer, I only cook them in the slow cooker or IP now, they come out so much better than any other way I’ve ever made them. This looks amazing going to give it a try this week! Hi Sue, have you used arrowroot to thicken a sauce instead of the cream? (The cream sounds delicious, yes- BUT) . I’m on Weight Watchers freestyle plan and trying to think how to adjust this wonderful recipe. Id also have to sub chicken broth for the wine. Love your recipes. Thanks and your photos are always beautiful. I think this sauce would be great without cream, Maria, kind of like a Marsala sauce. You could use flour, cornstarch, or arrowroot to thicken, or just reduce it down in the pan. You could also soak cashews overnight, drain, rinse, and blend with some of the broth to make a cream sauce. Thanks April, I wouldn’t have thought of that. 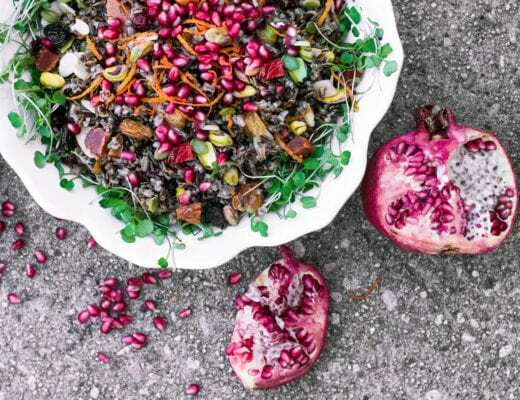 One of these days I’m going to have to try using my instant pot – and this recipe sounds like the first one I should try! 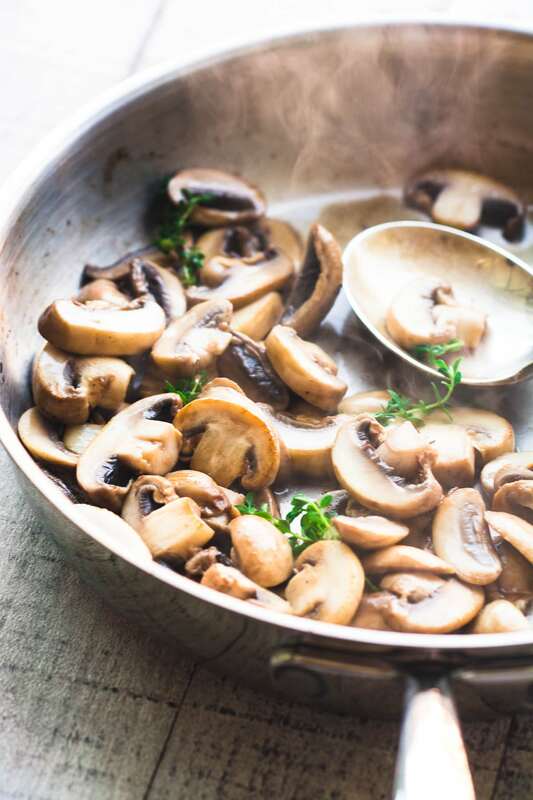 I love a mushroom pan sauce – yum!